NONE BETTER!!! One of the toughest sets of the 70's is the Greatest Moments set issued in 1971. 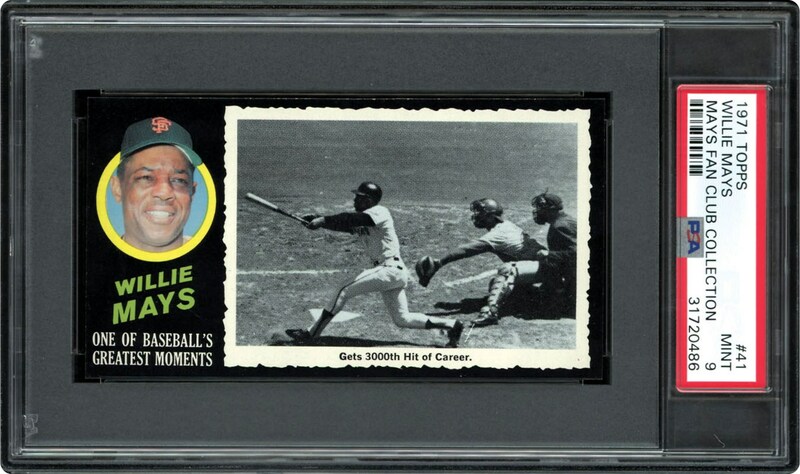 Strong black borders are impossible to find, but leave it up to us to get a low pop of 2, MINT 9 of Willie Mays. 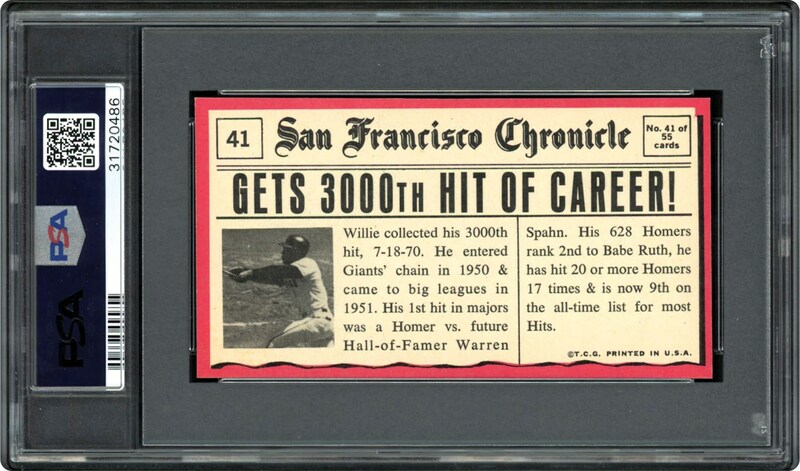 With nothing graded higher, this one is sure to get everybody's attention. Bid to own this magical mays oversized beauty from the "Mays Fan Club Collection".